Millerton Lake State Recreation Area has over 40 miles of shoreline along beautiful Millerton lake. Recreation includes swimming, fishing, and boating. The lake was created by construction of the Friant Dam across the San Joaquin River in 1944. The hills surrounding the lake provide good hiking opportunities. Wildlife in the park includes ground squirrels, cottontails, mule deer, badgers, and bald and golden eagles. The park contains the original Millerton County Courthouse, built in 1867. North Shore Campground is located at 550 feet so it is mild during the winter and hot during the summer. 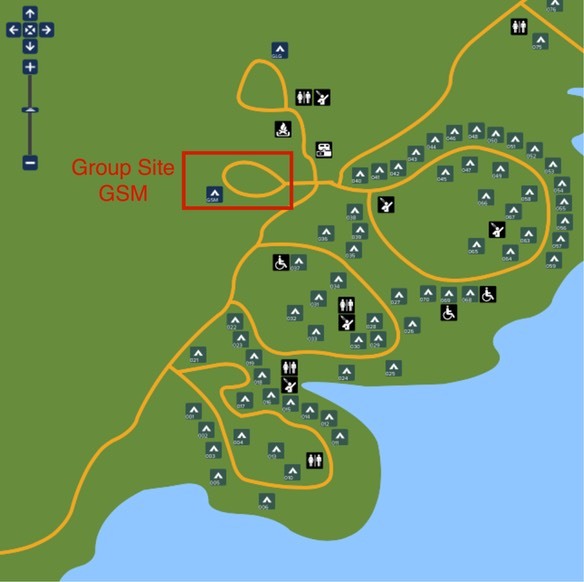 The Small Group Campsite (GSM) has room for 15 cars and 40 people in the camp area. The Large Group Campsite (GLG) has room for 25 cars and 75 people in the camp area. Tent sites will be given out on a first come first serve basis. The campground has running water available, however it is advised that every family bring at least 2 gallons of water. There are toilets available in the camp area, along with a picnic pavilions, grills, and campfire area. There is also a pay shower area nearby (bring quarters).